The Effect of Vehicle Characteristics on Road Accidents investigates whether vehicle characteristics related to handling and stability contribute to road accidents. 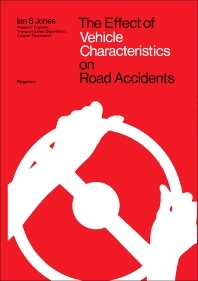 Using multiple regression analysis, this book addresses driver and vehicle effects separately in order to define both the magnitude of the handling/accident causation problem as well as the relative importance of the various performance measures. This monograph is comprised of six chapters and begins with detailed studies of accidents to determine the circumstances which lead to loss of control or overturning of a car on the road, and which accidents are likely to be influenced by the handling and stability characteristics of cars. Accident rates for these types of accident are then examined for the more popular models of car. Measures of vehicle handling and stability related to accident rates are also discussed. This text will be a useful resource for motorists and road engineers as well as transportation officials. 1.1. Analysis of Accident Data Supplied by Britax (London) Ltd.